Our Full Spectrum CBD Oil or whole plant CBD oil is one of the latest additions to our already diverse product line up! It contains all of the other powerful healing cannabinoids found in the amazingly versatile hemp plant. All of the available naturally occurring cannabinoid components work together to provide you with an extremely powerful organic healing tool. Some of the fundamental parts present are Cannabigerol (CBG), Cannabinol (CBN) and Tetrahydrocannabivarin (THCV), just to name a few. Our Full Spectrum CBD Oil utilizes all of these medicinally beneficial components. 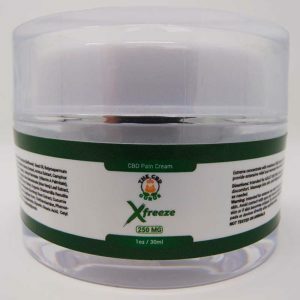 This takes advantage of all these naturally complimentary pieces to deliver a potent means for people seeking a natural alternative that may treat their chronic pain, arthritis, anxiety, sleep conditions and epilepsy. While no one will argue that cannabidiol alone is not an effective treatment for all these ailments, CBD with the additional cannabinoids, terpenoids and essential oils may enhance some of its aspects to treat these various conditions and possibly many more. This will ultimately result in an all-around natural and organic healing remedy!